A great—and often overlooked—way to watch live TV is to use YouTube. Since the company began to offer live streaming in May 2013, several TV networks have started to offer 24/7 feeds of their channels. 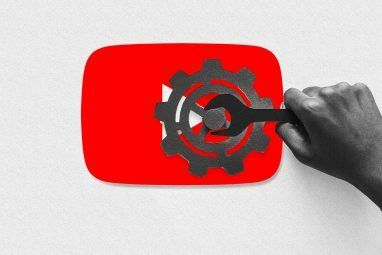 Here are some of the best live channels on YouTube that every cord cutter should be using. 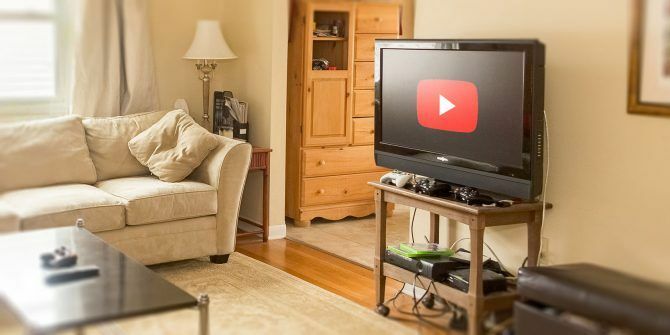 Note: Do not confuse the channels in this article with those offered through YouTube TV, YouTube’s OTA streaming subscription service Everything You Need to Know About YouTube TV Everything You Need to Know About YouTube TV What exactly is YouTube TV? What will you get if you sign up? Are there any additional features that set YouTube TV apart from its competitors? We have all the answers for you. Read More . Sky News is a UK-based 24/7 news channel that’s been on the air for almost 30 years. The YouTube channel is the international version of the network. The content is identical to that which broadcasts in the UK, but there are no British ads. Instead of ads, you’ll see frequent global weather updates. The channel primarily reports on world headlines, business, sport, entertainment, and other trending stories. NASA Live is a US government-funded TV channel. It offers a mix of live feeds from satellites, educational content, and pre-recorded space-themed TV shows. You will also find live footage of spacewalks, launches, and press conferences. Because NASA TV is a public domain channel, anyone can broadcast it. However, the YouTube channel is an official feed from the government agency. The channel is on air 24/7. Bloomberg is one of the most famouse names in the business sector. If you want to keep abreast of market information The 5 Best Free Stock Market Apps for Android and iOS The 5 Best Free Stock Market Apps for Android and iOS These free stock market apps for Android and iOS help you track prices, get alerts, manage your portfolio, and become a better investor. Read More , financial news, economic reports, and the latest political headlines, this is the channel for you. Bloomberg is the only one of the major business channels that makes its content freely available. The others—such as CNBC and Fox Business Network—require a cable or satellite subscription. You’ll also find plenty of on-demand content in Bloomberg’s YouTube archives, making it easy to catch up on your favorite show if you missed it. Here’s one for the kids. For the uninitiated, Talking Tom and Friends started life as an app which featured anthropomorphic animal characters repeating things said by the user. After early success, the franchise grew. There are now 10 TV episodes, almost 60 minis, and more than 45 shorts. All the video content is replayed on a randomized loop on the official YouTube TV channel. The channel’s guidance says the content is only suitable for children who are at least six years old. The Qatar-based Al Jazeera is one of the largest news organizations in the world. The network has bureaus in more than 80 countries. The English-language channel went live in 2006. It quickly signed up several big names from the world of journalism, including David Frost and Josh Rushing. Despite some prejudices, Al Jazeera has fostered a reputation for offering balanced and fair reporting on global news. If you want to keep up with the latest catwalk trends and global fashion news, you need to watch FashionTV. The channel boasts 400 million daily viewers around the world. Typical content includes videos from fashion shows, interviews with models, footage from exclusive fashionista parties, and behind the scenes content from the world’s runways. You also get exclusive videos from the world’s biggest fashion events, including the Madrid Fashion Week, Paris Haute Couture, and the Milan Fashion Week. France 24 is a state-owned TV channel located in Paris. The content offers a 50/50 split between live news and pre-recorded magazine shows. The subject matter of the magazine shows varies between global stories and programs focused on France and French issues. In addition to the English-language feed linked above, the channel also broadcasts in French, Spanish, and Arabic. QVC is the largest television shopping channel in the world. It’s been on the air for more than 30 years and is broadcast in US, UK, Germany, Italy, France, Japan, and China. The YouTube version of the channel is available globally. You won’t often find products from mainstream retailers, but if you’re looking for kitchen utensils, garden tools, jewelry, and unbranded clothing, you can find some great deals. If you would like to keep up with news south of the border, check out the official Milenio channel. Milenio started life as a newspaper in the northern Mexican city of Monterrey in the 1970s. In 2008, the company launched Milenio Televisión. The channel is on air 24/7 and broadcasts a mix of news, analysis, and specialist programming. The company also produces newscasts for the greater Los Angeles area. They are available on-demand in the YouTube channel’s video archives. We’ll leave you with another channel for the children in your life. Peppa Pig is a popular kids TV show that follows the life of Peppa, George, and a large ensemble of other farm animals. Since first hitting British TV screens in 2004, the series now includes more than 200 episodes. There was even a 15-minute short film which grossed more than $2.5 million. The show is syndicated across most of Europe and North America, as well as in many parts of Asia. The official Peppa Pig YouTube channel screens episodes on repeat around the clock. If you’re ever stuck for ways to entertain your kid Parents: Entertain Bored Kids Anywhere With These 12 Games Parents: Entertain Bored Kids Anywhere With These 12 Games Every parent knows the pain of bored kids. No matter how old your children are, keep these awesome games on your phone to entertain them anywhere you go. Read More , you can’t go far wrong with this one. These YouTube live channels will provide you with a solid mix of news, education, entertainment, and kids’ programming. Best of all, they’re entirely legal. You can occasionally find streams from networks like BBC and ABC, but they’re not official; YouTube removes them within minutes. Of course, there are lots of other ways that cord cutters can access legal streams of live TV. We’ve previously looked at many of them. Depending on your setup, you can use some of the best Kodi add-ons The 20 Best Kodi Add-Ons You Didn't Know You Needed The 20 Best Kodi Add-Ons You Didn't Know You Needed Here are the best Kodi add-ons you didn't know you needed but should install right now. Read More , unofficial Plex channels 20 Unofficial Plex Channels You Should Install Right Now 20 Unofficial Plex Channels You Should Install Right Now With the Unsupported AppStore, you can unlock new Plex content to watch. Here are the best unofficial Plex channels to install. 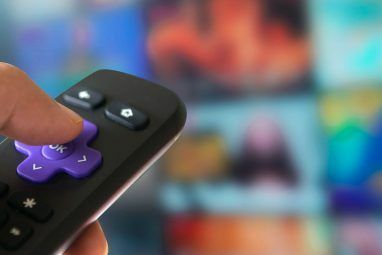 Read More , or free Roku channels The 20 Best Free Roku Channels You Shouldn't Miss The 20 Best Free Roku Channels You Shouldn't Miss Here are the best Roku channels you really shouldn't miss, all of which are free to install and don't have monthly subscriptions. Read More . Explore more about: Cord Cutting, Media Streaming, Online Video, YouTube.